Penny auctions sites are fun and you can get serious deals on all sorts or items from electronics to cosmetics and everything in between. As the popularity of penny auctions grew and grew, so did predatory businesses and sketchy practices. Many people fell victim to getting ripped off or taken advantage of. You don’t have to fall prey to the schemes that come with unethical business practices. Stay in the safe lane by knowing where you’re bidding, keeping track of your spending, and knowing the general ins and outs of penny auctions. There’s a little bit of preparedness that’s required with these types of auctions. Here are 5 ways to stay safe when bidding on penny auctions sites! First and foremost, make sure you know where you’re putting your money. Researching the penny auction site is one of the most important, if not the most important way to stay safe when bidding on penny auction sites. Don’t just dive into the pool without dipping your toe in first. For example DealDash (promo codes here and here) is generally considered to be one of the most safe penny auction sites on the web. It has a good reputation and when you Google the company, it’s generally considered to be a go-to for a professionally run and trustworthy penny auction site. Bidders use this site knowing they’re information is safe and that they’re not using a predatory website. It’s good to Google the penny auction site before you use it. Read any articles or publications before you bid. One thing to consider when making sure you’re using a reputable penny auction site is taking into account who you’re bidding against. In 2013 an NBC article reported on fake bidders or “bots” that were used by certain penny auction sites to bid against real users. This drove the prices up in a false way, forcing the real bidder to pay more for an item than they should have. ArrowOutlet.com had to settle charges against them, giving a $50,000 payout to people had bid on items from their site. Your best bet in learning how the site actually works is by reading reviews written by real people. Fake reviews exist everywhere, so browse wisely. If a company has way, way more negative reviews than glowing ones, you can approach with caution. However, it’s also important to keep in mind that people are more likely to write about their bad experiences than good ones, so it may be skewed. Another thing to consider is that there’s a learning curve when it comes to the nature of penny auctions. There’s an art to it, and if a first time user loses money because they aren’t skilled at the art, they may bitterly write a bad review. 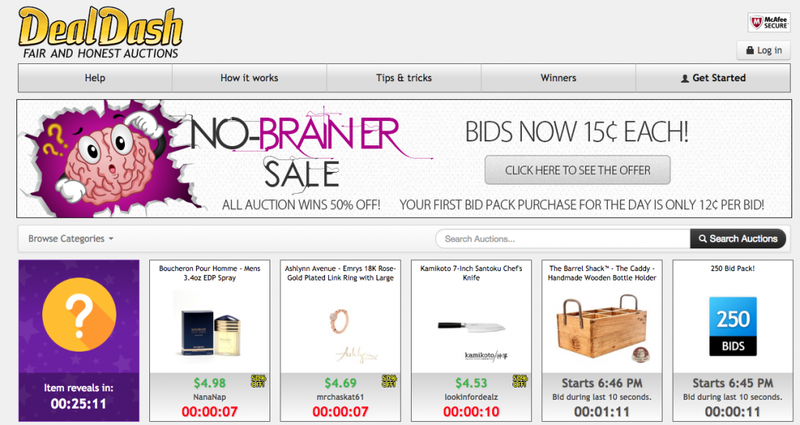 It’s easy to get carried away and bid, bid, bid, on an item you really want. But if you’re not saving money or at least getting somewhat of a deal, then it’s pointless. Penny auctions involve risk because you might lose money and not end up with an item at all. Keep a Google doc or Excel spreadsheet to make sure you’re overall spending makes sense for the items that you get. If you bid on an Instant Pot and pay $50 for it when it’s usually around $100 on the market, you got a good deal! However, you have to take into account items that you bid on that you don’t receive an item for. If you got that Instant Pot for $50, but you spent $40 bidding on another item two days ago, then you’re really only saving $10 overall. Savings $10 is great! But you only saved $10, not $50 like it seems. You can look at it through a monthly spend. If you can confidently say you’re spending less than you would have if you were to buy these items at their cheapest retail price, then you’re doing well. If you are bidding on items and not winning often, you’re probably in need of a strategy change. This brings us to our next piece of advice. You really want to make sure of the retail price of an item. For example, Instant Pots might be $100 all over, but if you do in depth research, you can often get the same items cheaper. eBay is a good example. If you check out eBay and they have a Buy it Now option for an Instant Pot at $50, you’ll be glad you found that (plus, eBay promo codes here and here). Make sure there isn’t a sale going on with the item you want, as well. DealDash and Orangebidz offer free shipping, so you don’t have to worry about it. However, not all penny auctions sites are created equal. You might think you saved big on that new jacket only to find out that the shipping cost added up to what the item would have been brand new at retail price. This is an often overlooked, but one of the most crucial ways to stay safe when bidding on penny auction sites. Read every word of a penny auction sites shipping page. Quibids generally offers free shipping on everything, but on their shipping page they let you know that there may be some rare items that will require an added shipping cost. It’s important to take certain precautions when using penny auctions sites. Penny auctions are fun, but a little research must be done before embarking on the journey into these types of auctions.